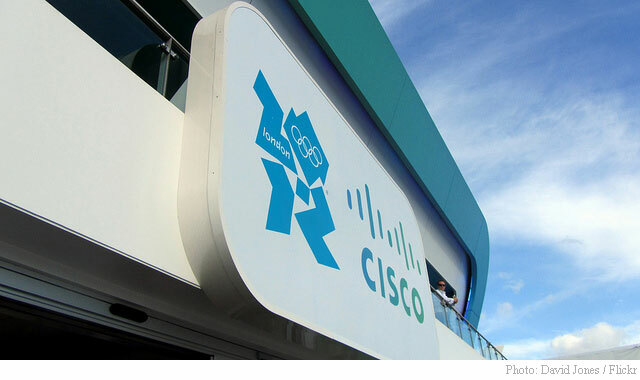 Cisco Systems, Inc. (CSCO) reported third quarter non-GAAP EPS of $0.57 after the closing bell Wednesday, compared to the consensus estimate of $0.55. Revenues decreased 1.1% from last year to $12.00 billion. Analysts expected revenues of $11.95 billion. The stock is currently up $1.58 to $28.30 on 31.61 million shares. For Q4, CSCO provided EPS guidance of $0.59-$0.61 versus consensus of $0.58 per share. The company also issued revenue projection of $12.36-$12.73 billion, compared to the consensus revenue estimate of $12.43 billion. On valuation measures, Cisco Systems shares, which currently have an average 3-month trading volume of 22.29 million shares, trade at a trailing-12 P/E of 13.23, a forward P/E of 11.23 and a P/E to growth ratio of 1.41. The median Wall Street price target on the name is $30.00 with a high target of $37.00. Currently ticker boasts 17 ‘Buy’ endorsements, compared to 14 ‘Holds’ and 1 ‘Sell’. Profitability-wise, CSCO has a t-12 profit and operating margin of 20.84% and 24.91%, respectively. The $134.46 billion market cap company reported $60.38 billion in cash vs. $24.60 billion in debt in its most recent quarter. CSCO currently prints a one year loss of about 7.49% and a year-to-date loss of around 0.21%. American Eagle Outfitters, Inc. (AEO) shares are up $2.09 to $15.48 in after-hours trading Wednesday after the company reported its first quarter earnings results. The firm reported non-GAAP EPS of $0.22 per share on revenues of $749 million, up 7.0% from a year ago. Analysts were expecting EPS of $0.18 on revenues of $731.07 million. AEO shares are currently priced at 12.01x this year’s forecasted earnings, which makes them relatively expensive compared to the industry’s 4.76x earnings multiple. The company’s current year and next year EPS growth estimates stand at 10.10% and 8.30% compared to the industry growth rates of 8.90% and 19.10%, respectively. AEO has a t-12 price/sales ratio of 0.71. EPS for the same period registers at 1.12.
salesforce.com, inc. (CRM) rallied $4.82 to $82.69 in after-hours trading after it reported fiscal-first quarter earnings. 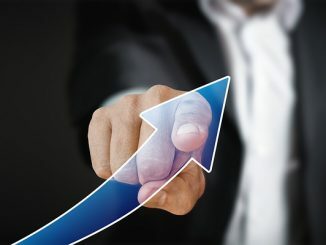 The provider of enterprise cloud computing solutions handed in earnings of $0.24 per share (non-GAAP) on revenue of $1.92 million, beating Wall Street estimates of $0.23 per share on revenue of $1.89 billion. The company guided Q2 revenues of $2.005-$2.015 billion, as compared to analysts’ expectations of $1.98 billion. The management also gave its bottom line range of $0.24-$0.25 per share, against projections of $0.25 per share. In the past 52 weeks, CRM stock has traded between a low of $52.60 and a high of $82.90 with the 50-day MA and 200-day MA located at $75.52 and $73.62 levels, respectively. Additionally, shares of salesforce.com trade at a P/E ratio of 2.66 and have a Relative Strength Index (RSI) and MACD indicator of 63.05 and +1.56, respectively. CRM currently prints a one year return of about 8.94% and a year-to-date loss of around 0.68%.